Anti-Aging Beautifying Cream - 50ml - $69 - in 2 formulas: Dry skin - with a smooth texture that provides dry skin with immediate comfort or All skin types - with a moisturizing texture with a powdery finish that reveals silky and velvety skin - both fight against all signs of aging, nourishes and beautifies skin all day. Anti-Aging Comfort Cream Night - 50ml - $69 - with a melting cloud texture that fights against all signs of aging, revives radiance and reduces fine lines and wrinkles while you sleep. Anti-Aging Illuminating Care - 15ml - $52 - fights against all signs of aging, immediately reducing wrinkles and illuminating eyes. Not only does the range care for your skin, it also care for the environment with eco-designed packaging that includes recyclable glass jars and bottles, a plastic bottle containing 25% of recycled plastic and carton packaging from sustainably managed forests. 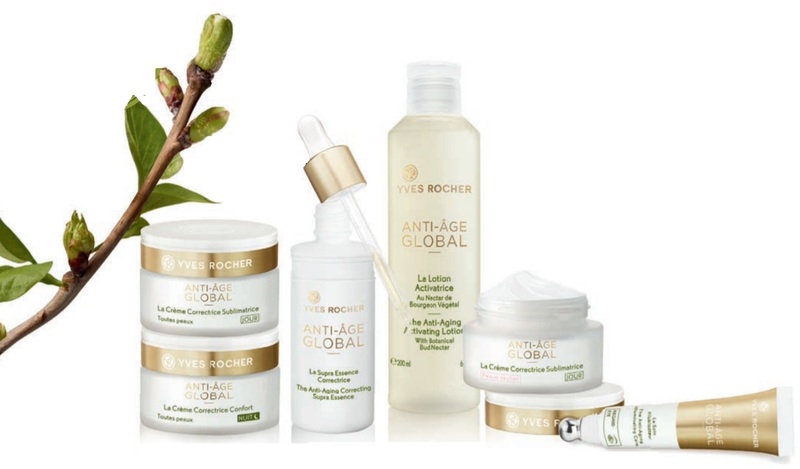 Available now at Yves Rocher stores across Canada and online at yvesrocher.ca.